Today’s quote is brought to you by my favorite employee at a bagel shop, Phil. Next Tuesday is his last day and I am SO sad! Not only does he make me smile and is a beacon of joy in my mornings, but he gives THE BEST hugs. I’m a huge hugger. Always have been. Always will be. They just feel so good to give and receive. Better than a warm handshake or a smile. Have an incredible weekend!!!!!!!!!!!!!!! Go hug someone you love. Today’s quote is for all of you that may be doubting your ability to push through, to finish, or to even start…who feel broken by inability, or frustrated with “the system,” or less-than. You are amazing. And strong. And you have all of us to help you. Yesterday we shared Aly’s story with you. Today, we’d like to share an Endo project that Aly is working on…and she needs our help! and a way to let women know they are not alone in the fight. I’ve taken the survey and it took a few minutes and had some valuable questions to answer. Aly was diagnosed when she was 15 years old. Now 21, she shares her Journey with us, and she has been through so much. She does, however, continue to fight and push ahead and raise awareness. She’s an incredible woman. And one hell of a Warrior. Aly’s Journey: I have been a runner since I was four years old. It has always been my passion, but it was also where my pain began. In the spring of my junior year, I was running on the track as usual when I suddenly I fell to my hands and knees in severe pain. I vomited when I tried to get up. It was the beginning of a life-changing injury in which I would endure unbearable stomach pain that I still experience even though it has been 7 years since I was diagnosed. At first, I tried to brush it off. Each race, I believed that I only needed to work through the pain and simply get to the finish line. I would continue running and then collapse at the finish. Oddly, it never occurred to me to stop running. Injuries are part of an athlete’s life. At my first doctor’s visit, I was told that that the pain could stem from ovarian cysts that might be rupturing and causing extreme discomfort. I underwent a round of ultrasounds and MRIs, but each time the tests would come back perfect. They couldn’t find anything wrong with me. The doctors treated me with painkillers and, when the season was over, I did well for about a month. But when I attended a Leadership Conference that summer, I had one of my worst attacks. I collapsed, cried and was once again in excruciating pain. When I returned home, my gynecologist said I could have endometriosis, a condition where tissue that grows inside your uterus grows outside it. It can make it hard for women to have children. I was sixteen when they told me I probably would not be able to have children. At that age, you are just trying to live and not thinking about the future. I had to grow up fast. The doctor did not want to perform exploratory surgery because I was so young, so they began to treat me for it with birth control medication. Even so, my condition failed to improve, and my doctors began to think there might be a problem with my intestines. After they ruled out Irritable Bowel Syndrome they began to wonder if my intestines had somehow become twisted. My third doctor, a gastroenterologist, ran more tests, but the results were the same: I was perfect. At this point it would seem like it was a blessing that nothing was wrong, but it wasn’t. I had been in inexplicable pain for months and no one was helping me. The gastroenterologist suggested a colonoscopy and said that even if my colon was fine he would still give me a trigger injection into the area where I usually felt the most intense pain. If I was pain free for 6 to 8 hours after, he said, then it was most likely a nerve entrapment. Of course, my colonoscopy was perfect. He gave me the injection and for eight hours I felt relief, but soon the pain returned, heightened to a new extreme. After three weeks, my fourth doctor, a pain management/anesthesiologist, used an ultrasound and finally discovered the nerve entrapment that was causing the problem. He injected the exact spot, and, after seven long months, I finally felt relief. I had forgotten what a pain-free stomach felt like. However, this only helped for a little while. About a month later, I was collapsing and in extreme pain again. I went back to my gynecologist and we decided to do a laparoscopy my junior year of high school. 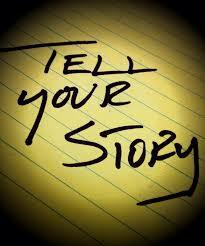 When they opened me up, I was covered with endometriosis. It had started spreading to different organs. The doctor put in an IUD, another form of birth control inside my uterus which was normal protocol for endometriosis. 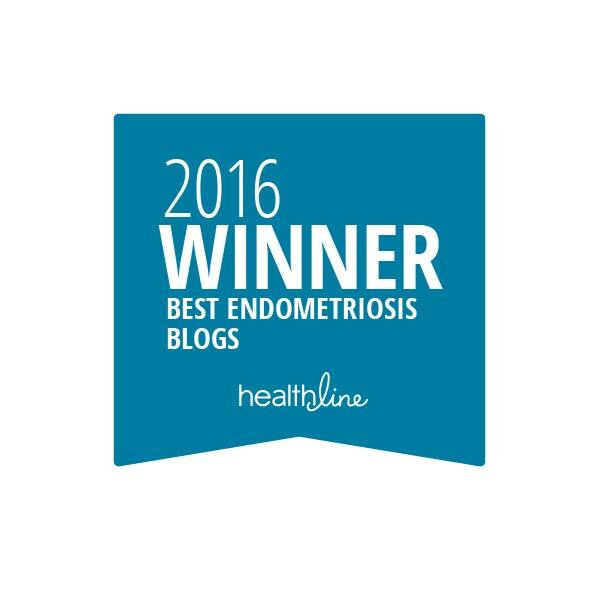 Having the endometriosis areas removed improved my pain but a year later I still had pain. I am on a high dosage of birth control and do not have periods, but it only helps the pain a little bit. Though I still have pain, I continued to run. My dream has always been to follow in my father’s footsteps and run in college. I continued to push through the pain even though it got worse. I ended up going back to the gastroenterologist because I was having a hard time eating, having regular bowel movements and the pain was severe again. I was diagnosed with Irritable Bowel Syndrome (IBS) with Chronic constipation. I am on medication for this, but it does not improve the situation. I didn’t let this stop me from fulfilling my dream. I worked through the pain and became a collegiate runner. I was so happy to have finally made it, but it was going to be a long difficult road ahead of me. During my freshman year of college, I was doing better from the pain until mid-season when I started having extreme pain and noticed I was gaining a lot of weight. I understand the freshman fifteen, but this was different. I was running fifty miles a week but still gaining weight. I went to back to the gynecologist to find out that the IUD was causing me to gain weight and have ovarian cysts. I decided it was time to have the IUD removed. I had to be put under to have it removed because it was too painful to be awake. I also have never been able to use tampons, so the insertion process has always been unbearable. I thought I was weird because I couldn’t use tampons the way my friends could. I got the IUD removed right before my sophomore year of college and was back the on pill. I was still having pain though. I kind of got used to always having pain that I hid it away, so no one could ever tell what I was going through daily. Every year before the season starts, we must get physicals done and my sports trainer pointed me in the direction of a pelvic floor dysfunction therapist. I had never heard of pelvic floor therapy, but I was willing to try anything. It was something new and it turned out that I was diagnosed with pelvic floor dysfunction which is the inability to control your pelvic muscles and the therapy seemed to help all my conditions. Now I am at six different chronic illnesses and I couldn’t possibly think I could have anything else wrong until I noticed that I had a hard time releasing urine. In my junior year of college, I noticed I never had the urge to urinate and it was causing extreme pain and puffiness in my body. I was retaining urine but drinking around fifteen bottles of water a day. I went to see a urologist, who ran scans and urodynamic tests. The results showed that I had pelvic floor dysfunction which I already was treating. So, the urologist decided to put me under and do a cystoscopy with hydrodistention. She was looking for Interstitial Cystitis (IC). IC is s a chronic condition causing bladder pressure, bladder pain and sometimes pelvic pain around bladder lining. The procedure showed that I have IC and my bladder lining had tears in it. After the procedure, I was doing the best that I have in six years. It felt good to only have mild pain. I had hope that things were getting better. I was prescribed Aloe Vera pills to help thicken my bladder lining. But the pain returned, and no one knows how to help because there is not enough information out there. I suffer from endometriosis, but I also have a nerve entrapment, ovarian cysts, pelvic floor dysfunction, chronic IBS with constipation, colon spasms, gastritis and interstitial cystitis. I suffer from severe pain daily that hinders my way of living. All my issues stem from endometriosis. It has changed how I live and makes it very hard to be an average twenty-one-year-old. I, like so many other women, suffer from an illness that gets overlooked every day. Even when they find out what is wrong, there are barely any ways to help. Endometriosis is incurable, but I hope one day my story and all the other stories out there will bring awareness and the importance of trying to find a cure for endometriosis. As a designer, my goal is to spread awareness so that women voices can be heard so that we can find a real solution for our real pain. My journey is not over but I keep fighting so that one day my pain will be gone. If you wish to contact Aly, you may email her here. I want to send a special Thank You out to Aly for being brave enough to share her personal story, struggle, and victories with us today. I am so grateful that you continue to fight and look forward to helping you with your project! Thank you!!! Well, here we are. It’s Friday! I really should have known better. My stomach hasn’t been right since yesterday: multiple trips to the bathroom with the squirts, including this morning. But…I was SO sure!!! What did I do? Well, first I scrambled for a small shop cloth in the back of the Jeep and shoved it where it needed to go…all without crashing into the car in front of me or weaving out of my lane. Then I immediately canceled my plans to pick up a bagel on my way to work. I just needed to get to the office and run to the bathroom and take care of things! I hope that you had just a good a laugh as I did. And are able to find the humor in all things you face that aren’t so funny. Endo & Liver Function – added a 2018 study of a woman with endometriosis found on her liver.